At 186,282 milesper second light is pretty fast. I do believe that there is nothing that can travel as fast as light. There was a near miss recently when the scientists behind the Large Hadron Collider thought that they had raced particles round their17 milecircuit faster than the speed of light. It was thought that the speed record had been broken by 60 nanoseconds, but the error was later thought to have been caused by a difference in the expected GPS course and the tensioned cable that runs within the tunnel walls. If we agree that light is faster than the cartoon Roadrunner when I was a lad, come on now nothing seemed faster than Roadrunner, then by all accounts light is pretty fast, and in that respect light is quite unique. The very essence of light, the properties that form light are such that it changes everything, wherever it is present. 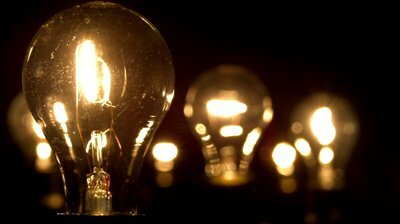 If you take a torch into a dark room it will light up the room. When the sun rises it lights up the lands that it reaches, and like when Indiana Jones takes a flaming stick down into a tomb or cavern to find a hidden treasure, the passage lights up. We can’t take a ‘stick of darkness’ and make a light room dark. It isn’t possible to turn on a lamp that emits darkness and at the end of the day, it is the sun that recedes and sets rather than the darkness overpowering the light. It is the withdrawal of light that causes darkness to creep in. Where there is no light, darkness will prevail. When we offer our light to the world, to our cities and communities, we live in a better place. It was sunny today, unusual in my climate. The sun shone and peoples head were lifted more than usual. The environment that we were present in was more wholesome. It ‘felt’ much better, and light seems to have that superpower to its secret identity. Light makes things better. Light heals, light creates growth, light gives us vision – light…makes the difference. The properties of light are attributed to this man, this prophet, the Son of God, Jesus Christ. 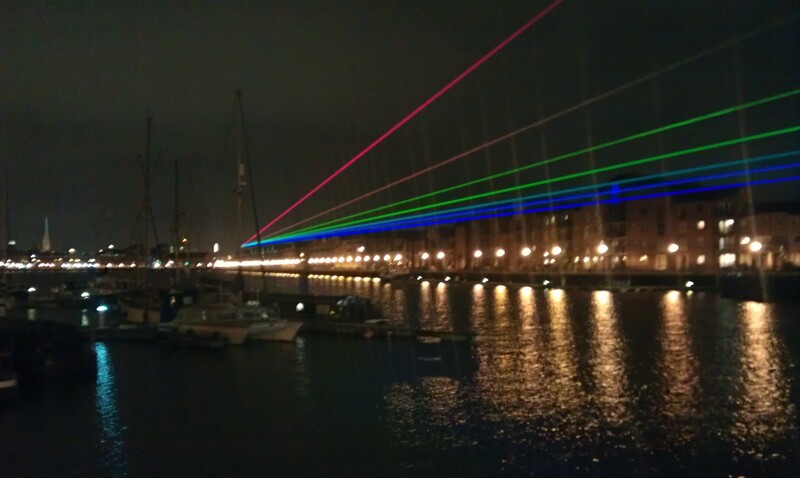 Recently in Preston, Great Britain there was a piece of art called The Global Rainbow, it is the creation of Yvette Mattern – a New York/Berlin based visual Artist and has been exhibited in New York, Berlin, Toulouse, Utrecht, Nantes and it was impressive. 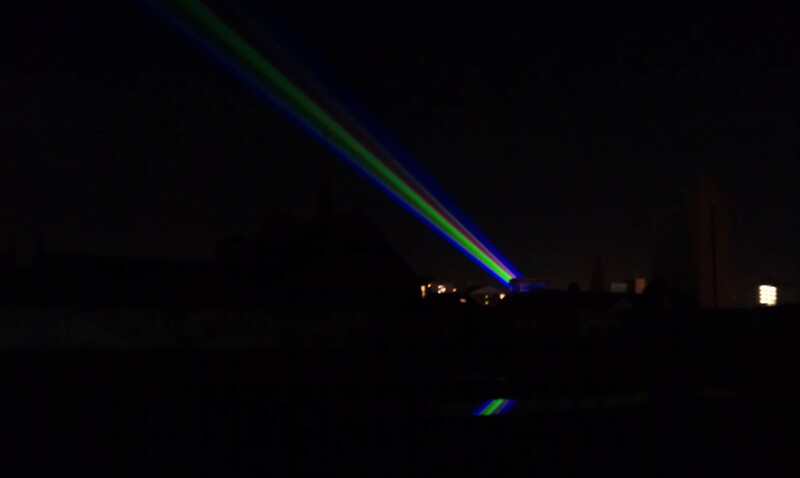 We managed to get a few shots of The Global Rainbow over the Preston skyline and at the origin of the projection. The light was attractive, it drew others and it made a difference to the darkness. As each new morning comes and each sun rises, I am reminded to let my light shine. Light is captivating, light is attractive, light draws people. Viewing from Preston City Centre - spectacular!